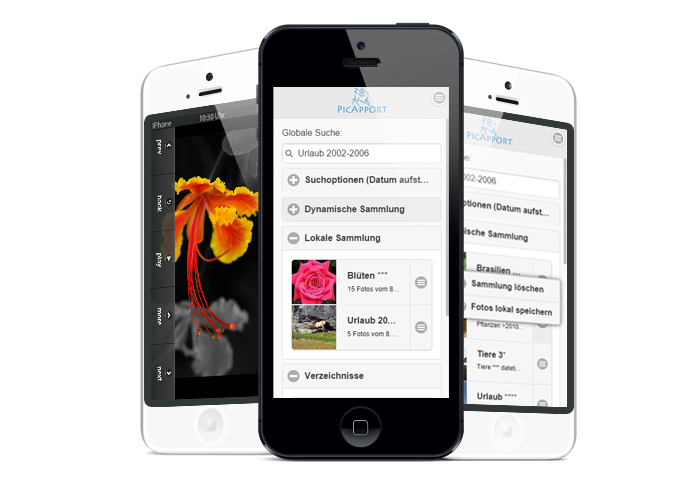 Here you will find general instructions for the handling of PicApport. Here you will find general instructions for the handling of the PicApport Server. Here you will find the Installation Guide. 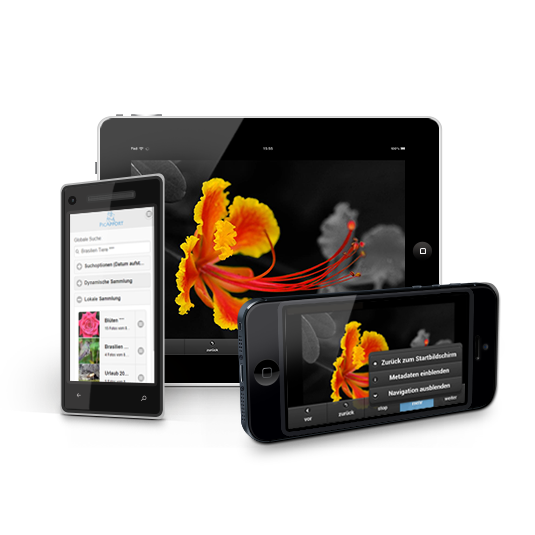 The browser interface has been optimized for smartphones and tablet's (e.g. 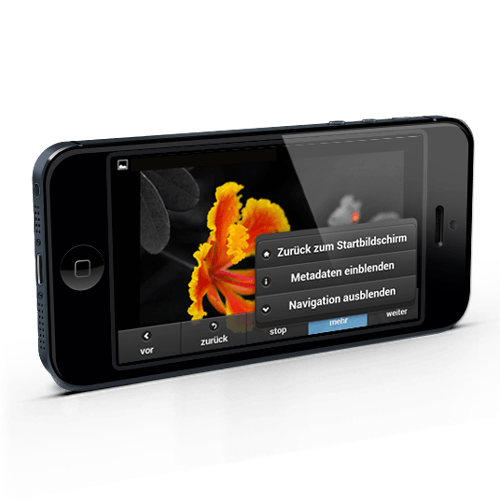 iOS or Android). Before photos are transferred to the end device they are scaled to the full display size. In this way large files of current cameras can be transfered quickly. 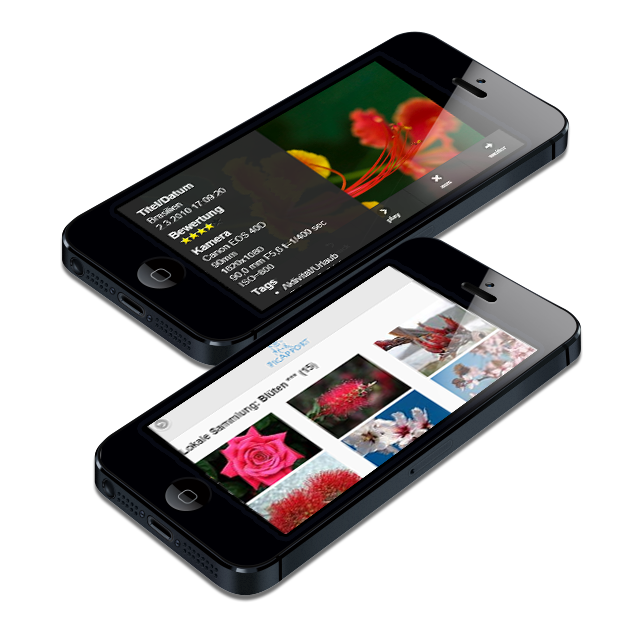 The server is optimized so that only the pictures that are needed at that moment are kept to be scaled. Wiping gestures can be used to skim through the pictures. The following metadata can be displayed as desired: Title, date, file name, rating, camera model, ISO, aperture, exposure, focal length, original image size, keywords, people. Just tap or click left to see the context menu for showing the meta data! Because PicApport is programmed in Java, it can be used in addition to Windows, on nearly every Java capable operating system e.g. Linux or Mac OS X. Since version PicApport 2.0.1 photos can be downloaded directly from one or multiple e-mail accounts. PicApport can be configured so that the photos are automatically sorted depending on the date or sender in certain directories. It is also possible to incorporate information from the e-mail text or subject line directly into the metadata of the photo. Via a whitelisting of the sender spam is prevented. Through this feature it is possible, for example, to send photos from a smartphone to a PicApport server without that it is always directly accessible from the Internet. 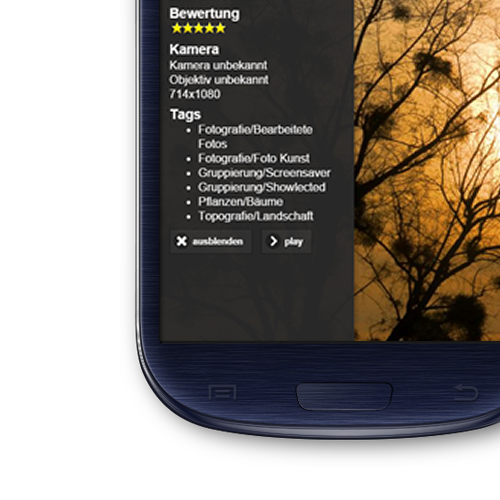 If Picapport is started and is running, PicApport checks regularly if new photos are available. As an option for experts, the server can be installed without a graphic user interface as a deamon or service. This work is licensed under a Creative Commons - Attribution - Non-commercial - No Derivatives 4.0 License International.